High Point isn’t the first to take a stand against the taffy candies, which are produced by various companies including Necco. Peanut Butter Kisses made the Top-10 worst Halloween candies list that CandyStore.com produced using more than 40,000 customer surveys combined with other sources. The candy came in fifth worst, and was called out for its easily recognized solid-color wrappers. 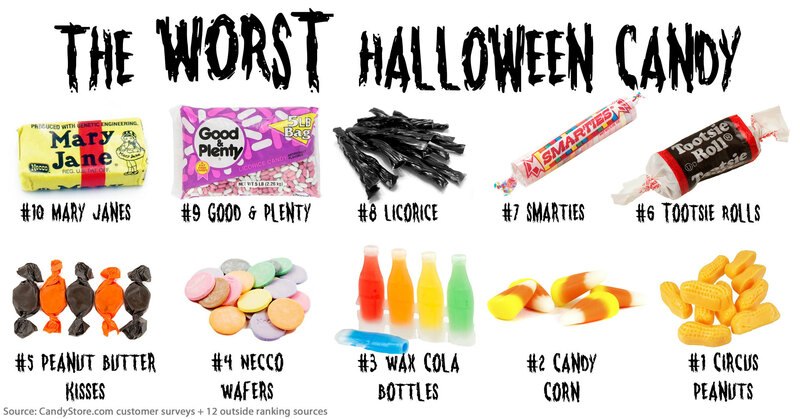 Others on the list included Circus Peanuts, Candy Corn, Wax Cola Bottles and Licorice. High Point’s post drew mixed reactions, along with some additional candy recommendations. The city responded heavily in GIF form. We went to the Pumpkin Patch event on Friday at Shelter Cove Community Park to ask these kids what kind of candy they like ... and dislike. Prosecutors say a North Carolina man was sentenced to 9 years on charges of distributing crack cocaine.